I love how SOLIDWORKS gives you so many opportunities to quickly perform many functions through on-screen gestures and typical Windows options keys. 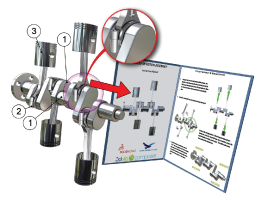 This nifty little example has been around for awhile but always generates a buzz when I show it in a SOLIDWORKS training class, demonstration or user group meeting. 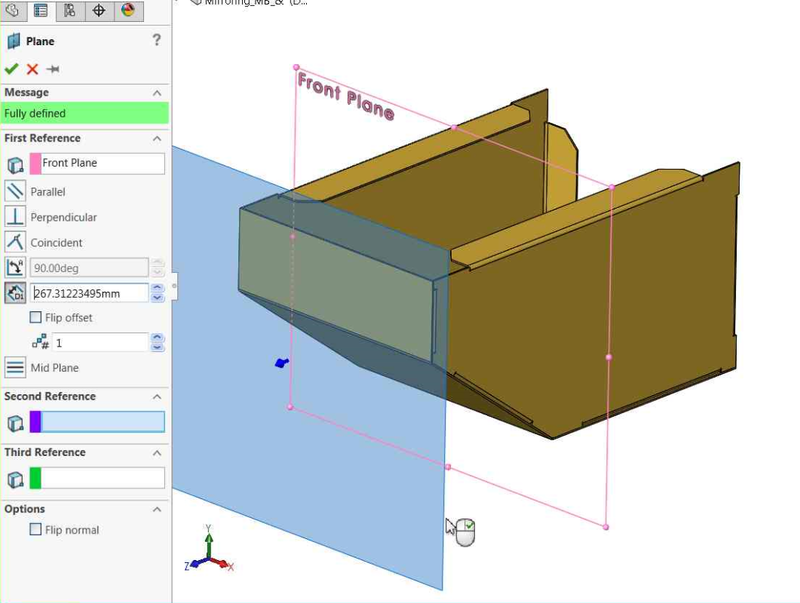 This technique for creating reference planes in SOLIDWORKS works in part and assembly files. As promised, we present Return of the Jedi... lightsaber! 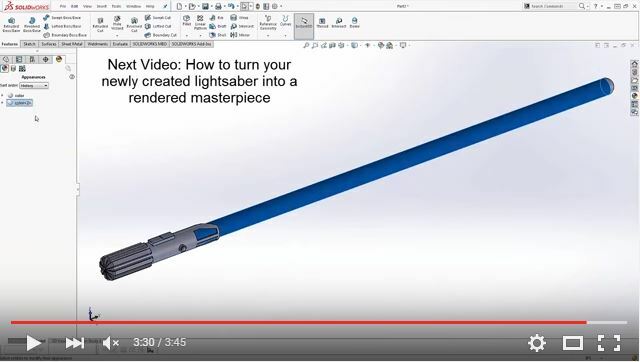 If the first video of the lightsaber creation series sparked your creativity and inspired you to practice your SOLIDWORKS skills on your own lightsaber, check out this follow-up video! In the second video of our Star Wars series, we break down the rendering process into more detail. You’ll see some suggested dimensions for your lightsaber as well as tips for improved efficiency in your own rendering process. >> Did you miss the first video in the series? Check out the rapid speed video here! It's the first day after the holiday season, and it's back to the grind for us here at TriMech. Our team is looking forward to an exciting new year. But first, we wanted to take a look back on what you loved in 2015. 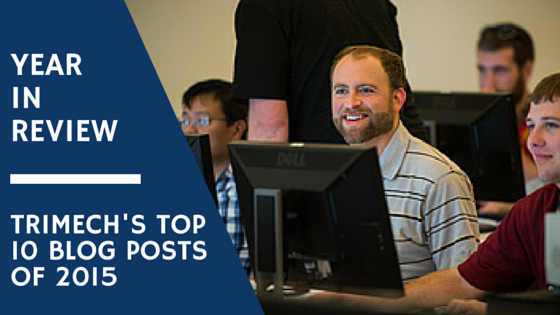 Do You Know About These Hidden Gems In SOLIDWORKS? With the recent release of SOLIDWORKS 2016 and the flurry of “What’s New” events behind us, I started thinking about new features that have been introduced in the last few years. Every new SOLIDWORKS software release brings brand new functions and tools, plus enhancements to existing commands and features. Here are a couple of my favorites you may have missed. Light, medium or dark. No, we're not talking coffee. We're talking about a new interface brightness option found in SOLIDWORKS 2016. Did you know SOLIDWORKS EPDM has the capability to create new folders and folder structures? With this feature, users can organize any project or product line into specific folders. By following the six steps below, you will never lose an important file again. What is the one thing that all 2D sketches have in common? As you may have guessed from the title of this article the answer is Planes. Any time you create a 2D sketch in SOLIDWORKS you have to start that sketch on a plane or a planer surface. Since you will not always have a planer surface to sketch on this means that becoming proficient in creating planes is crucial to modeling efficiently. When applying restraints to fixtures in SOLIDWORKS, the reference plan tool can be used with high degrees of specification. With SOLIDWORKS 2015, customization of this feature is highly specific and allows you to apply multiple directional translations, including changing the normal direction of planes. When patterning a feature in SOLIDWORKS, you’ve surely been intrigued by the geometry pattern option. 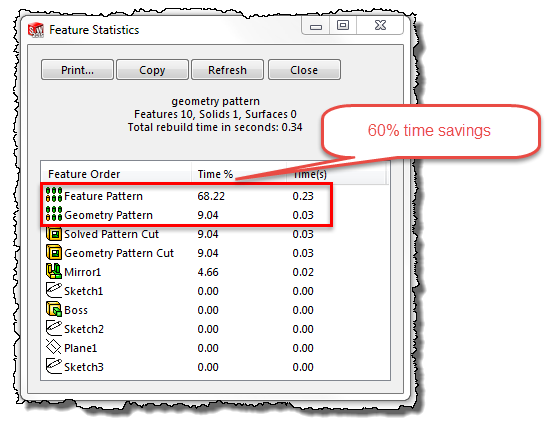 It doesn’t scream for attention, so it can be easy to gloss over or shrug off with simple ‘meh.’ But before you disregard it completely, you should know exactly what geometry pattern means and how it can reduce rebuild time and file size. Sometimes we need to create a plane cut in SOLIDWORKS, but we only have information for three points of the plane. You can make this happen easily with surface cuts. When importing files into SOLIDWORKS Composer, you may need to reorient the default vertical axis of the viewport to get the desired shadows and lighting effects. The process is quick and easy. This SOLIDWORKS Composer Tech Tip shows you how to tailor your mouse buttons to fit your preferences.